Today I want to share about something hype in town lately. Yes! 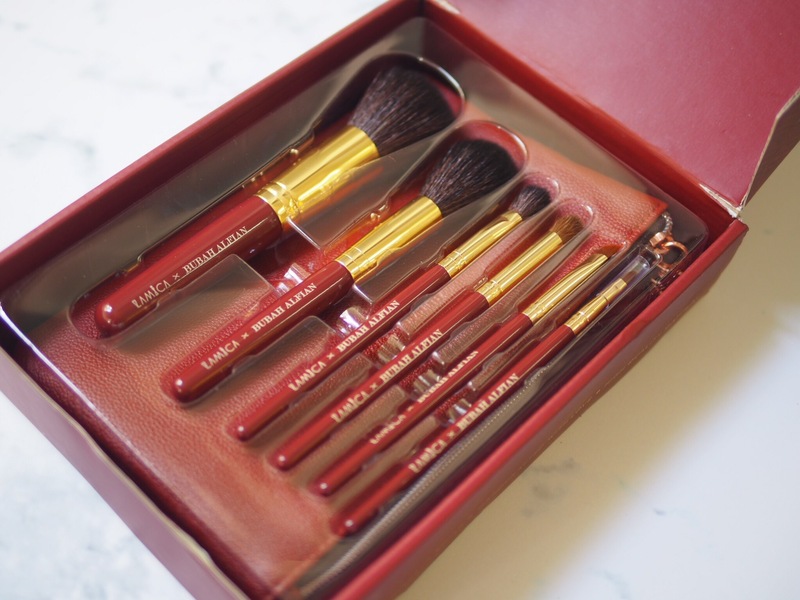 It’s Lamica x Bubah Alfian Brush Set. It’s a limited edition collaboration between Lamica and the famous Bubah Alfian, and I’m so glad I got it, thanks to Clozette Indonesia for sending me one. As you know, LAMICA is one of Indonesian local brand make up tools and they make premium brushes with high quality material, each brush is carefully selected to fulfil your needs. And who doesn’t know Bubah Alfian, he is one of celebrity makeup artist in Indonesia, he works with top Indonesian artists. He is even known internationally in a glamorous show, America’s Next Top Model. His experience is undoubtable. 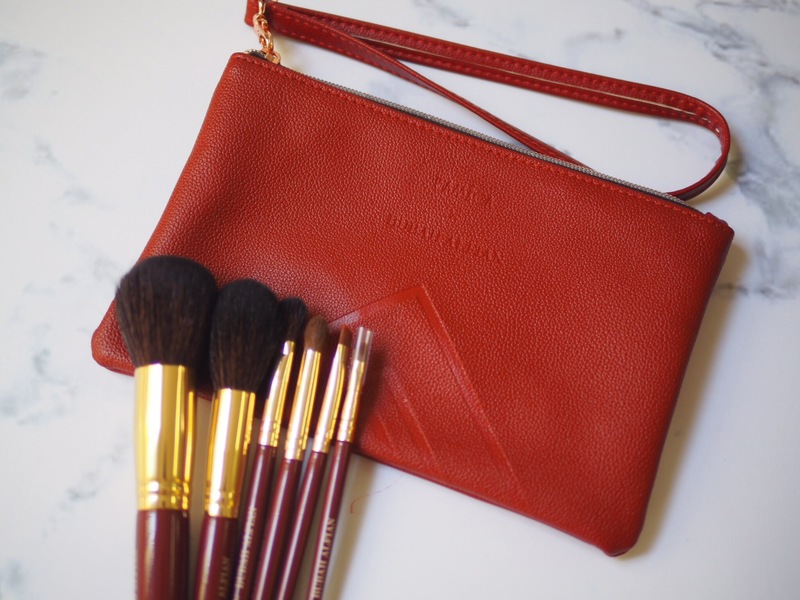 Lamica x Bubah Alfian Brush Set comes as a set of 6 different top quality makeup brushes, uniquely designed to apply different cosmetics to the right areas of your face. 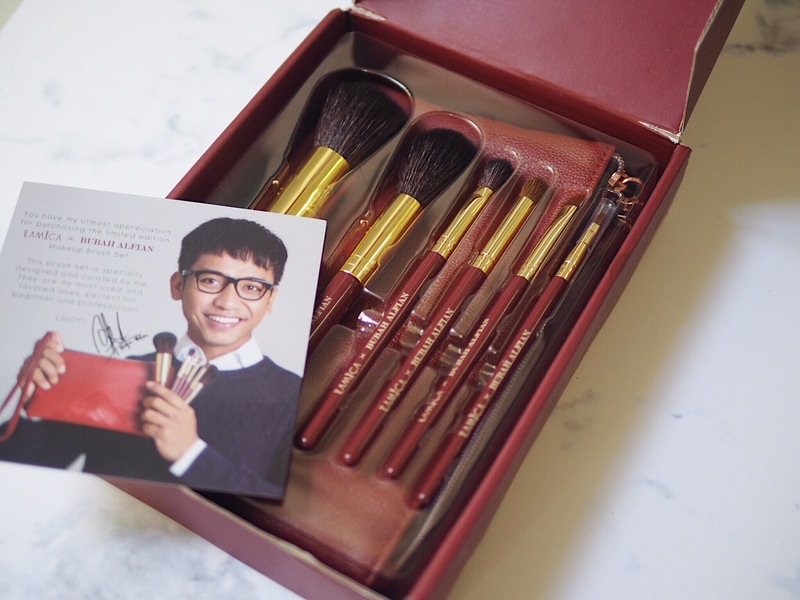 This brush set is specially made and curated by himself. It’s the most used and favored one, fits for beginners even professionals. The packaging is so luxurious. For the colour, he chose burgundy with a touch of gold to create the set looks beyond elegant. The box is printed with a huge Bubah Alfian signature in gold foil. Oh! and don’t forget about the pouch. 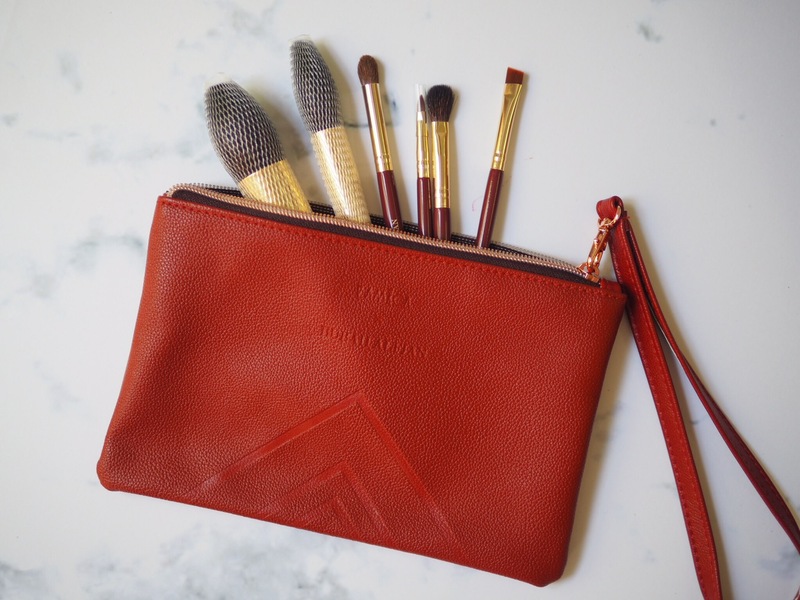 It’s so convenient, not only you can take all the brushes inside but you can also put other stuffs too. The box also come with 2 brush guard to protect the brushes! My Instagram followers asked me, “which brush is suitable for beginner users?” Now I can say it out loud that Lamica x Bubah Alfian Brush set is really suitable for you. The bristle is so soft but not the softest brushes out there because it was a natural goat’s hair. Even so, it doesn’t make my skin itchy. The handle fits my hand and it’s very light. 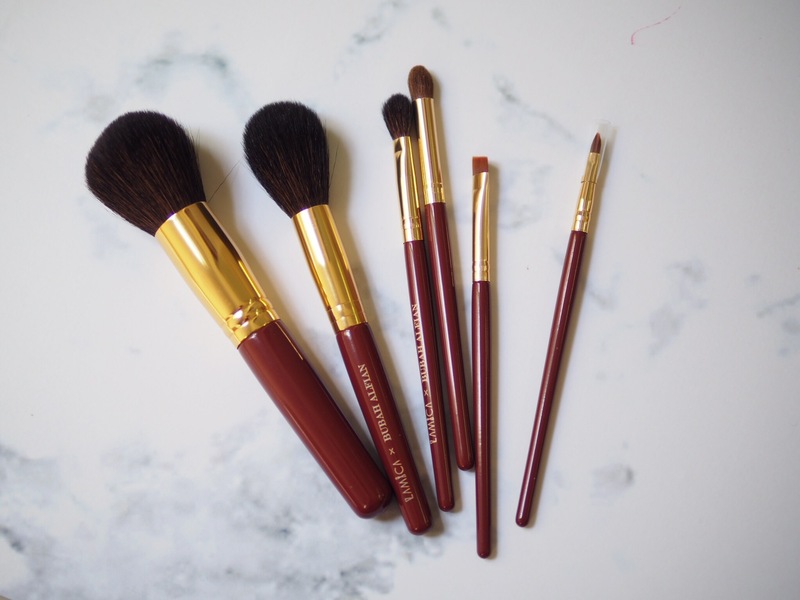 The most important thing from this brush is they are really great for applying products, it’s so easy to apply, extremely durable and at a great price too! What can I ask for more? In this box you can get: Large Face Brush, Blush Brush, Flat Blending Brush, Dome Brush, Eyebrow Brush, Lip and Liner Brush. So, I enjoy the two large brush from this collection. 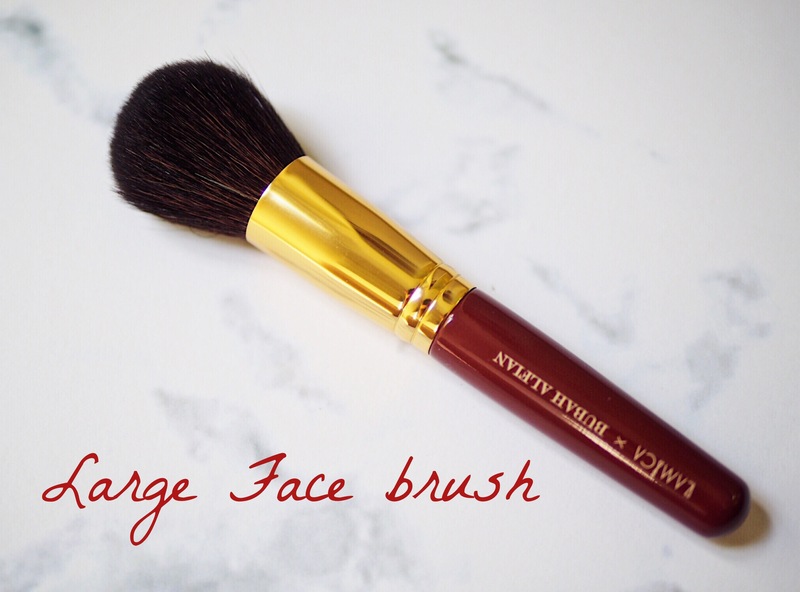 Large Face Brush, this brush is full, and dense but it feels fluffy at the same time. I use this brush for powder to set my makeup, mostly loose powder. It’s big enough to apply powder quickly and is effective at buffing the powder into the skin. I sometimes use it to apply blush too. 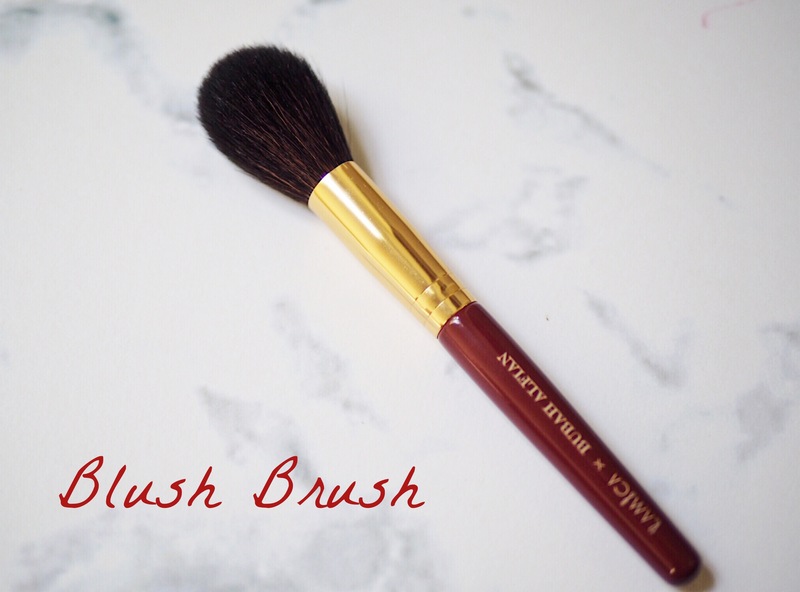 In my experience, Blush Brush is a multifunction brush. I can use it for contour, blush and also for setting powder. 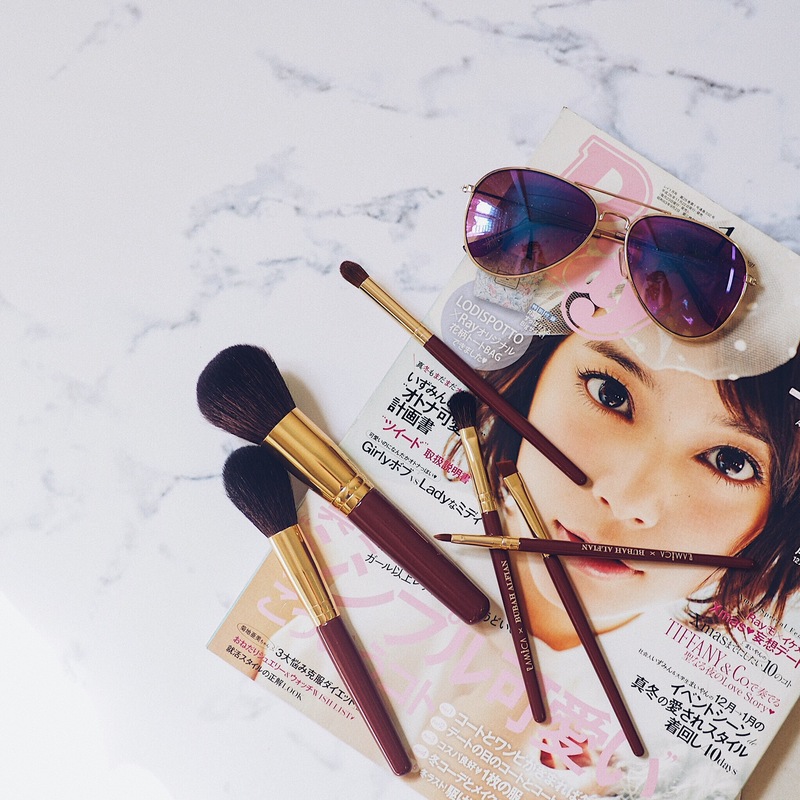 I will definitely grab this Blush Brush for travel. Let’s move to the eye brush. 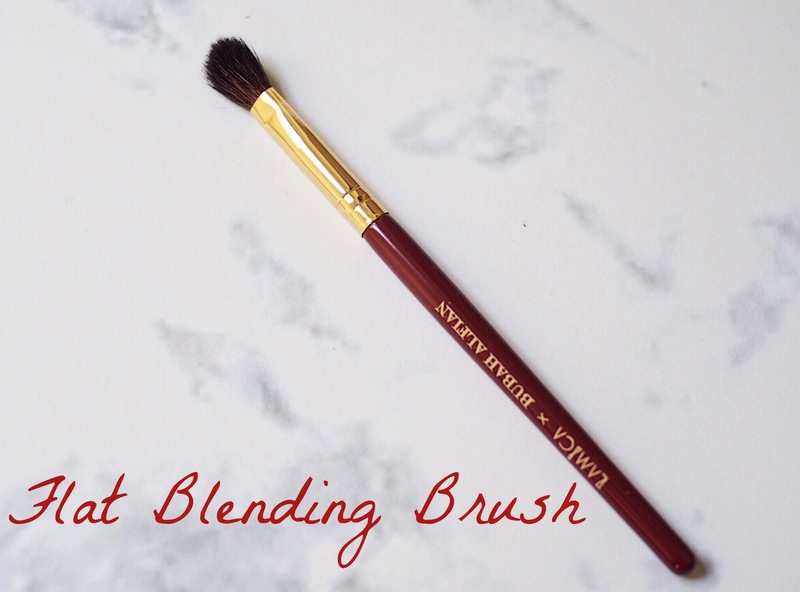 Flat Blending Brush is great for blending many shades of shadows, but I also use it to contour my nose all the time! It’s really a perfect shape for me! 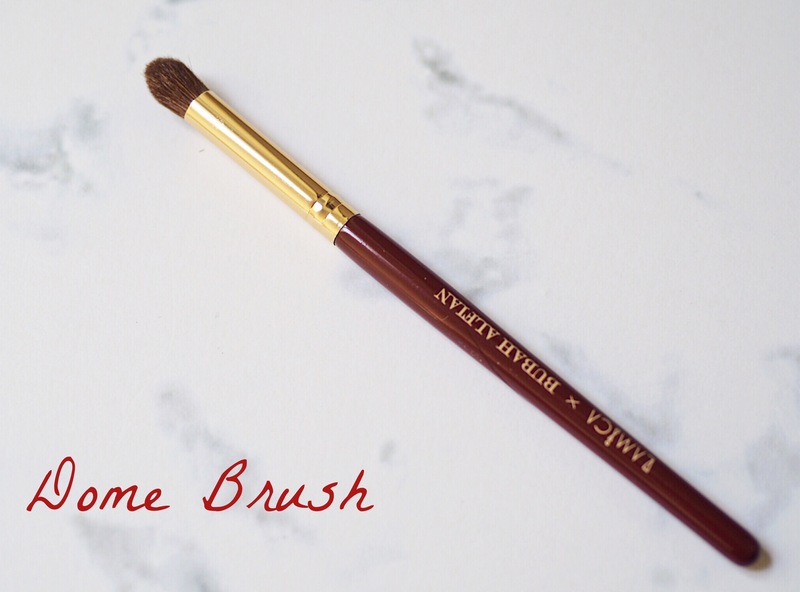 Dome Brush is good for applying the bold shadow to your lid and it also work best on the outer V. You can use Flat Blending Brush after using Dome Brush to soften the harsh line. Don’t worry, you’ll get used to it after few tries. 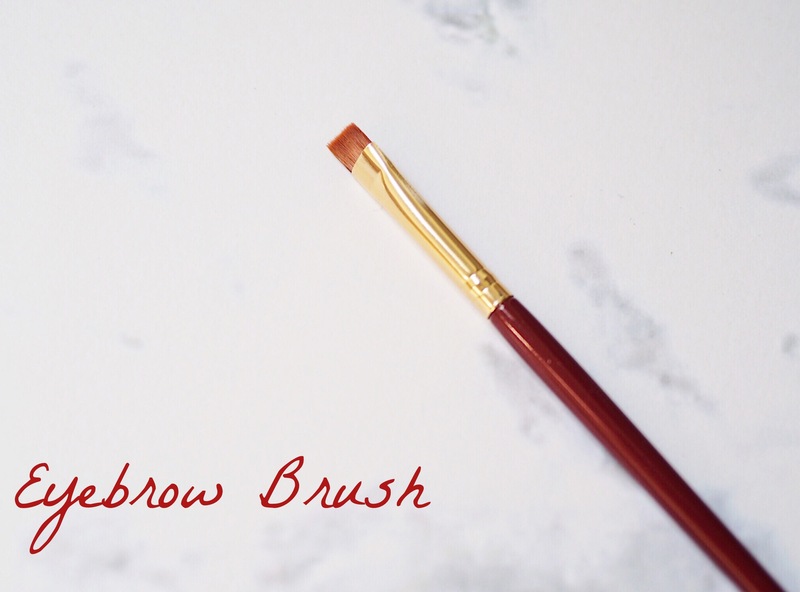 Eyebrow Brush is a perfect angled brush to define and shape eyebrow or eyeliner, or you can use it for concealer to clean around the brows. The brush is thick enough to take the product whether it is gel or powder. The last one is Lip and Liner Brush. This brush is the smallest among the other and it’s a synthetic brush. 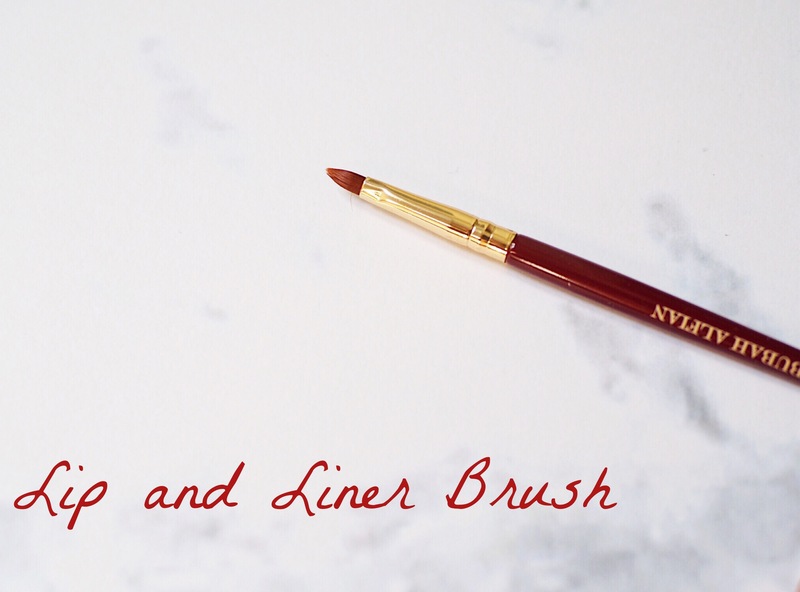 It has a precise tip to create perfect line for lip and eyeliner. Finally I get a proper lip brush. So, what do you think girls? Please share me your thoughts and comment below if there is any question about this post.